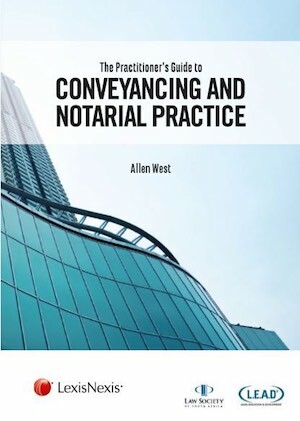 The Practitioners’ Guide to Conveyancing and Notarial Practice is the latest new release from publisher, LexisNexis Legal & Professional, a leading global provider of information and analytics. The Practitioners’ Guide to Conveyancing and Notarial Practice covers the important aspects of conveyancing and notarial practice, with a comprehensive exposition of how to describe parties in deeds and documents, as well as an explanation on how to draft extending clauses and causa for estate transfers and to other types of transactions. The Practitioner’s Guide to Conveyancing and Notarial Practice overs the 2017 Conference Resolutions, SPLUMA, the Sectional Titles Management Act, the latest Chief Registrars Circulars and a new chapter on the deed of sale.